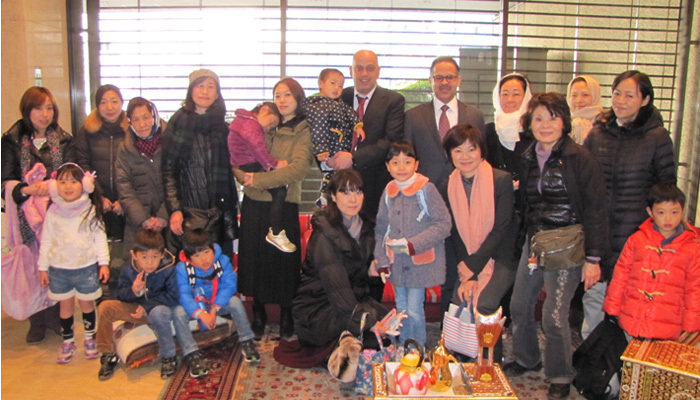 The Embassy was delighted to receive a number of residents of Minato Ward, as part of a social activity organized in cooperation with the Municipality of Minato Ward. First Secretary Mr. Hamad Al-Mulla and Third Secretary Mr. Yousef Al-Tarkit cordially welcomed the guests, and presented Kuwait’s various historical, cultural and traditional aspects, and answered their questions. This event is part of the social activities that the Municipality of Minato Ward has been organizing in cooperation with foreign Embassies located in the Ward, to introduce local residents to Embassies in the hope of contributing to building a better understanding between different people and therefore building closer human relations especially between the residents of Minato.